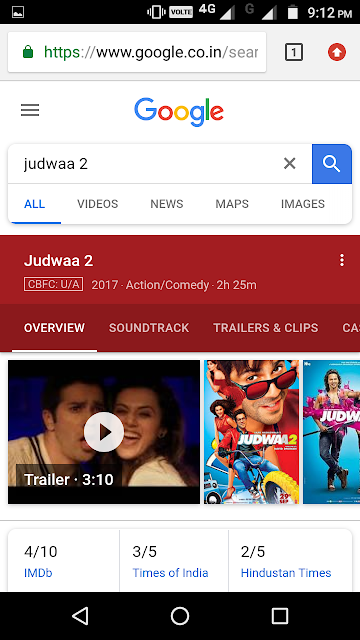 Googled a Movie Name recently? Google testing search layout changes! Every other day I see something new on the Google search result page. While I try my best to cover only the prominent ones, I am still failing to keep pace with it. 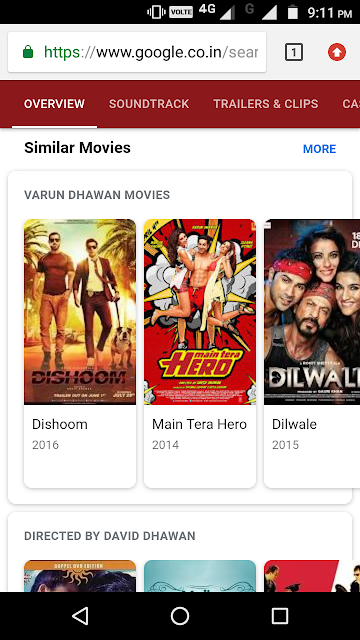 Google is beating me easily. Somehow I feel Google is not only trying to give you answers for close ended questions but it is also trying to improve its own user engagement by providing sections like People also ask, Carousels, etc on the search layout. 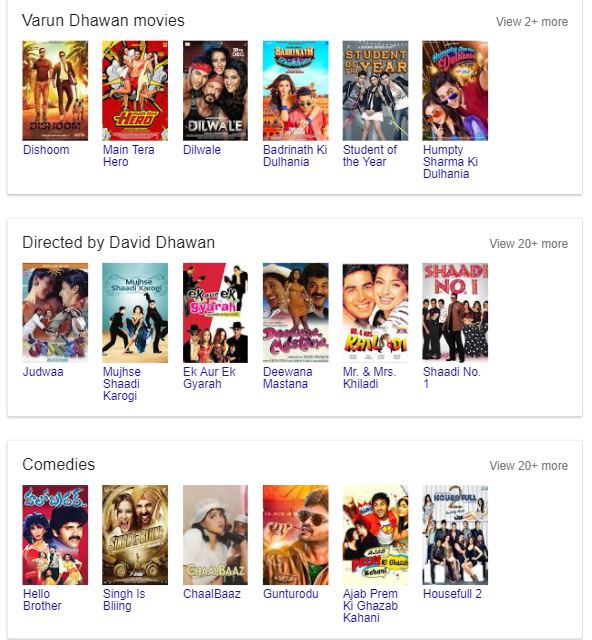 Searchers are definitely spending more time on the search layout with such engaging elements. 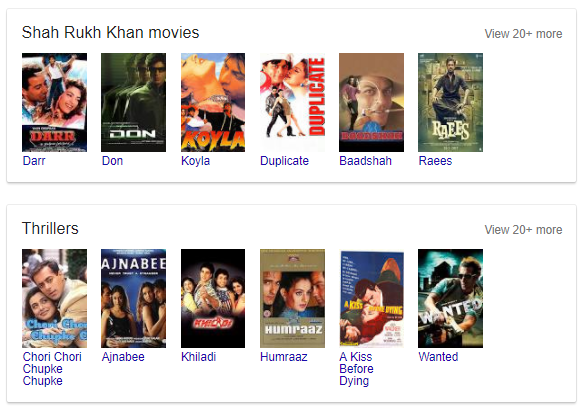 A couple of days ago I was searching for some random Hindi movie names on Google. I saw two to three elements at the bottom of the search page. While elements like Knowledge graph, trailer from the official Youtube channel (at the top of search listings), critic and audience reviews, movie cast, movie songs, etc were already present; I noticed these new elements on the search result page for the first time. 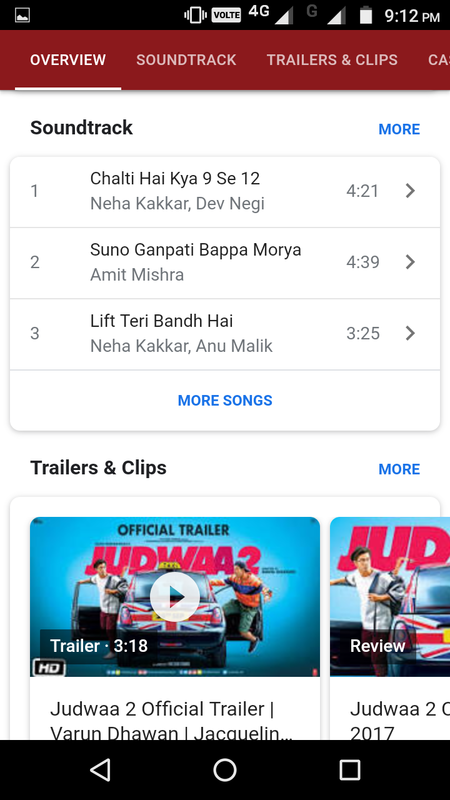 Also these kind of searches on mobile provide a beautiful categorisation (overview, soundtrack, trailers & clips, etc) that is horizontally scrollable and sticks to the top of your screen when you scroll down. Now this could be something I didn't notice earlier. But the other elements mentioned in this post seem to be new. Some really good layout modifications being tested by Google!